Students at Mound Elementary School participated in the first round of lead testing in the partnership between the Cleveland Metropolitan School District and Case Western Reserve University. King uses a needle, fully enclosed in plastic, to quickly prick Darrell’s finger and then begins to collect in a small vile the droplets of blood that pool on his skin. 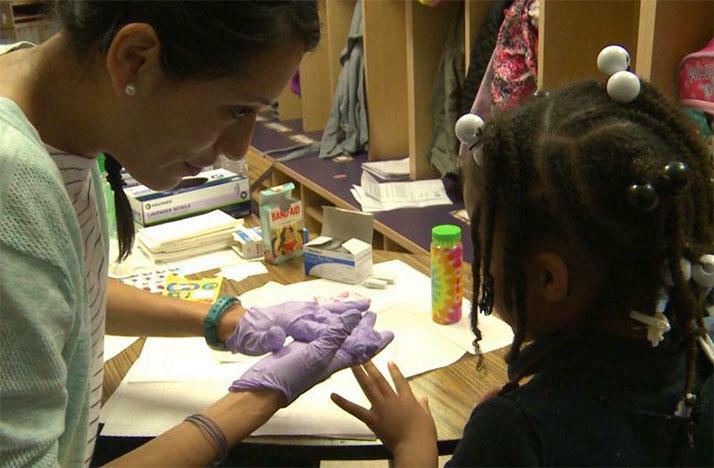 The kindergarten student is one of more than 200 in the Cleveland Metropolitan School District being tested for elevated levels of lead. The tests are part of a partnership, funded by a grant through the Prentiss Foundation, between CMSD, Case Western Reserve University and a number of area community groups to detect and treat lead poisoning in young, Cleveland children, and also to create a database of their results. CMSD’s Director of Nursing and Health Services Debbie Aloshen explained children who experience lead poisoning can experience mental, behavioral and even physical difficulties throughout their life, but if the problem is caught and reversed early, those issues can be prevented. Cleveland’s old housing supply, Aloshen said makes it prime for unintended lead exposure. However, the state only requires the testing of children covered by Medicaid. Aloshen said a lack of diagnosis and treatment will eventually lead to a group of children who will need additional help in school. “We’ve got to make sure these kids learn and to do that, we’ve got to change the style of learning sometimes for these babies,” Aloshen said. CWRU has worked with the district for several months to collect consent forms from parents of children ages 3 to 5 in five of the districts’ elementary schools for the voluntary testing. Dr. Marilynn Lotas, with CWRU’s Francis Payne Bolton School of Nursing, said some parents were hesitant. The program will connect families with needed medical treatment for children with elevated lead levels, but also with home testing to pinpoint the source of the lead exposure. With the number of older rental properties in Cleveland and the lack of attention some receive, Lotas said, that has raised some concerns. “What we’ve heard from parents is concerns about being evicted or losing their children and what we are trying to do then is to provide some assurances for parents,” Lotas said. Cleveland Legal Aid has now joined in the program as a partner to provide assistance to those families, Lotas said. Monday marks the final scheduled day of testing in CMSD schools, with tests at Scranton Elementary School near the city’s Tremont and Ohio City neighborhoods. Over the next two years, the program will expand to test children in the age range at every school in the district. Lotas said two schools have requested to be added to this year’s testing. She and her team are working to schedule those sites before the end of the school year. A large increase in Hepatitis A cases in Ohio has health officials concerned. 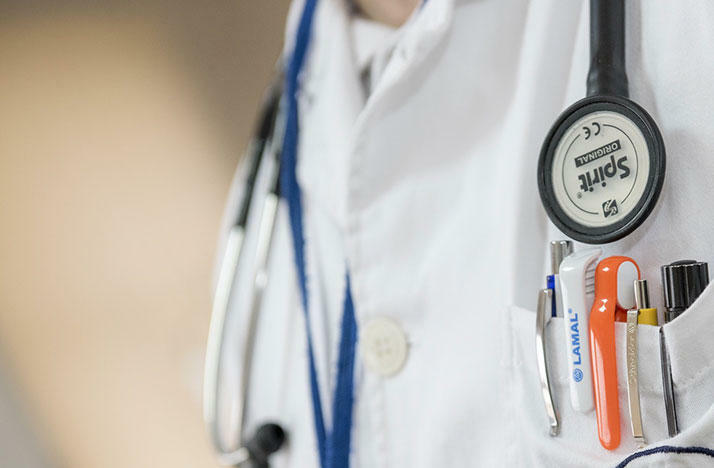 There have been 47 cases of the highly contagious liver infection confirmed this year compared to just five cases at this same time last year. Ohio’s medical marijuana program is supposed to be fully operational on September 8. 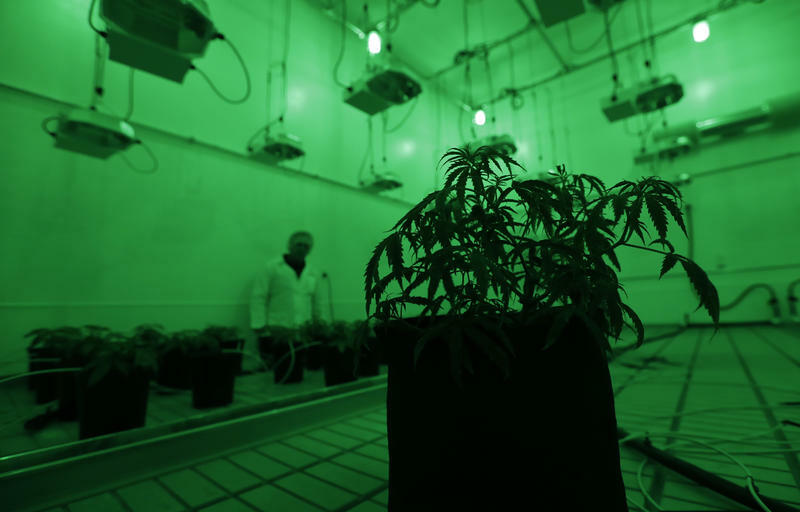 But there are several court battles over problems with the process of choosing cultivators, and some fear it might delay the start of the program.